The amount of public housing varies in each region of WA but overall, it only makes up a very small 4% of all housing in the State. 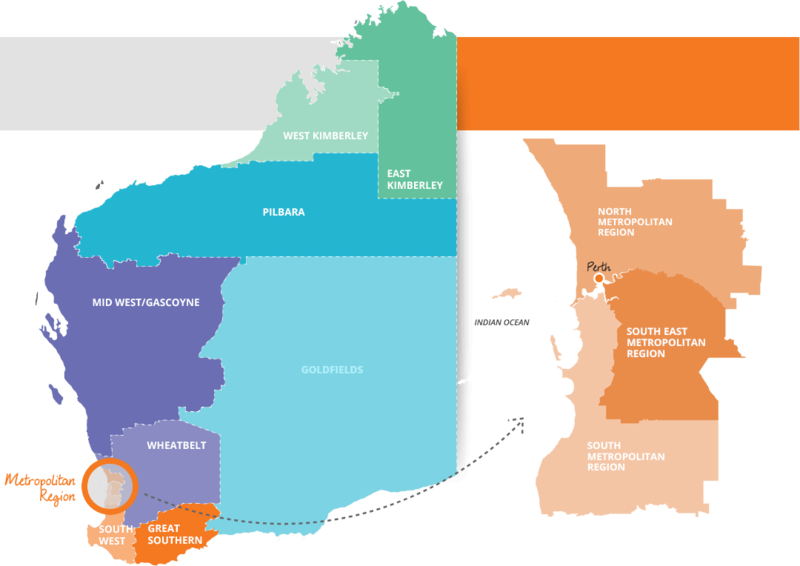 Use the interactive map below to see the distribution of public housing in each region of WA. The map also uses the latest available information and statistics to display the current number of households on the waitlist and priority waitlist, the average wait time and the number of applicants (households) housed for each region across the State.